Being comfortable can make the world of difference when you take a long journey. There are plenty of ways to increase your personal comfort on transportation, such as wearing loose clothing, staying hydrated, and taking ear plugs and an eye mask to help you to sleep. Another great way to get comfortable on a long-haul flight or long train, bus, or car ride is by taking a travel pillow with you. 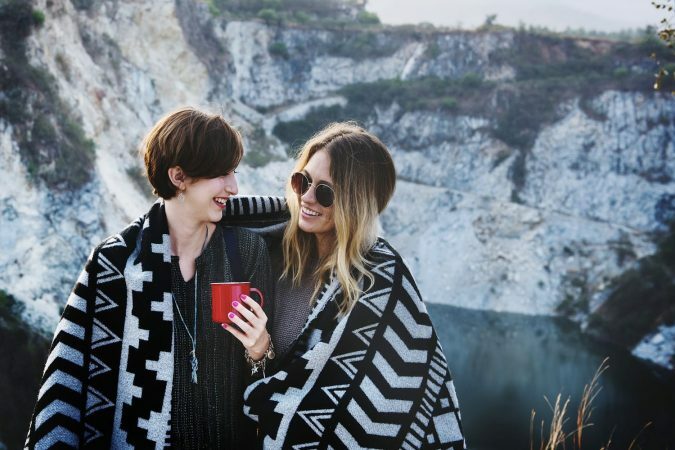 With packing space and weight restrictions a concern for many travelers, it can be easy to consider foregoing a pillow and simply use a rolled-up sweater instead. 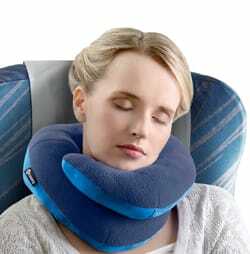 However, the best neck pillow for travel helps you sleep better and more comfortably while offering better neck support while traveling. Finding the best travel neck pillows sometimes isn’t as easy as it may seem. We’ve researched the best pillows for travel on the market; you don’t have to sacrifice your comfort when you travel. It’s time to make your dull journeys more comfortable with one of these top-rated travel pillows. 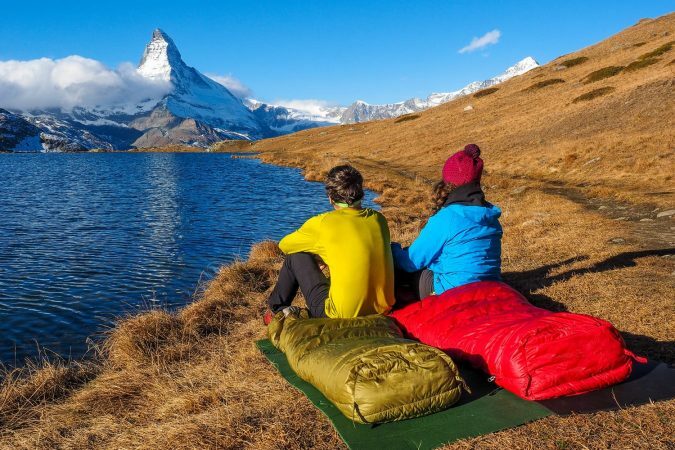 With different types and style, fabrics and materials, and costs, everyone is sure to find the ideal travel pillow to suit their needs and preferences. But with so many out there it can be tough to narrow down your choices. So to help, here are our choices for the top ten best travel pillows for any type of traveler. Note: Click on the pillow name to read reviews and check prices. Long gone are the days when travelers were limited to small cushions or blow-up neck pillows for added comfort when traveling. Today, there are various types of travel pillow available, with a range of options to suit individual sleeping styles and preferences. 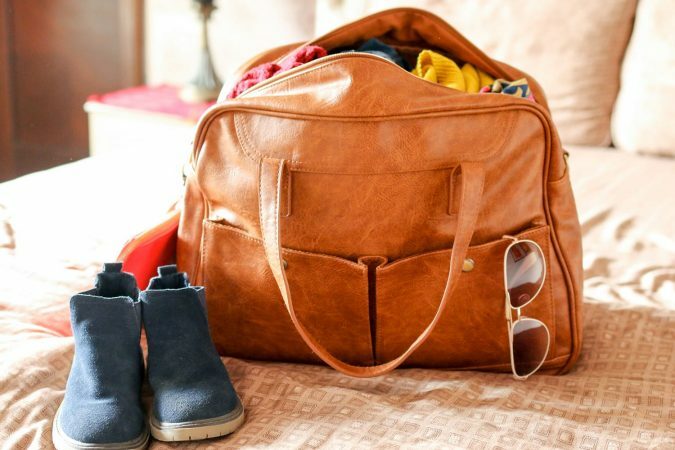 Your most common traveling style may dictate your choices to some extent, and you may even consider investing in a couple of travel pillows for different types of trips. 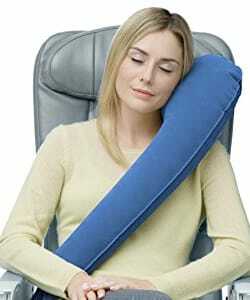 Often, the best airplane neck pillow, is usually the overall best travel neck pillow. However you might want to try a few different styles, as you may find that you prefer something different from your best airplane pillow for bus and train journeys. Inflatable U-Shaped Pillows: Offering neck support, a major plus point for inflatable pillows is that they are super small when deflated, making them easy to carry. Most require little effort to inflate. Solid U-Shaped Pillows: these offer support to the head and neck and are typically made from memory foam, therefore more comfortable for many people than inflatable varieties. What you get in comfort, you lose in convenience; even when a solid pillow can be compressed to a fraction of its size it will still be bulkier than an inflatable option. Wrap-Around Pillows: This type of pillow typically offers for greatest amount of support for the head and neck. A disadvantage can be that the rigid internal features that provide the great support can make the pillow bulkier to carry and store. Inflatable Rectangular Pillows: Although this type of pillow provides little by way of support, it is ideal for travelers who simply want something small, light, and compact to lean their head on for a bit more comfort on their journey. Solid Rectangular Pillows: This is usually one of the bulkiest types of travel pillow and does not offer any support while you sleep. However, if you plan to use the pillow in other places and not only while you travel, this pillow is perfect. 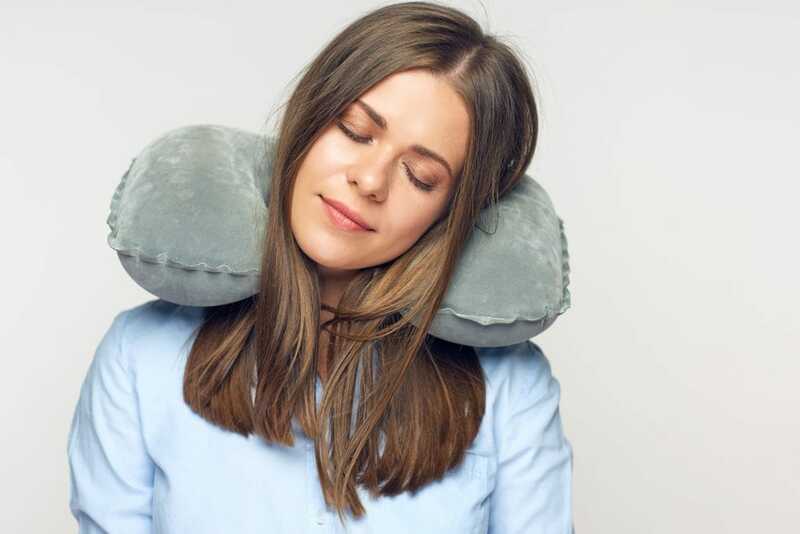 There are four major considerations when looking for the best travel neck pillows: your preferred sleeping position, the size of the pillow, the pillow’s flexibility, and the cost. People sleep in different positions, even when seated, and some pillows are especially suited to particular positions. Do you often move around a lot in your sleep? Does your head tend to loll forwards when you’re not lying down to sleep? Wrap-around designs often offer more support than U-shaped pillows. There are also products on the market that offer a great amount of chin support or support for the whole of your upper body, for example. As for the size of the pillows, you want to make sure they are small enough to easily fit in your carry-on luggage. 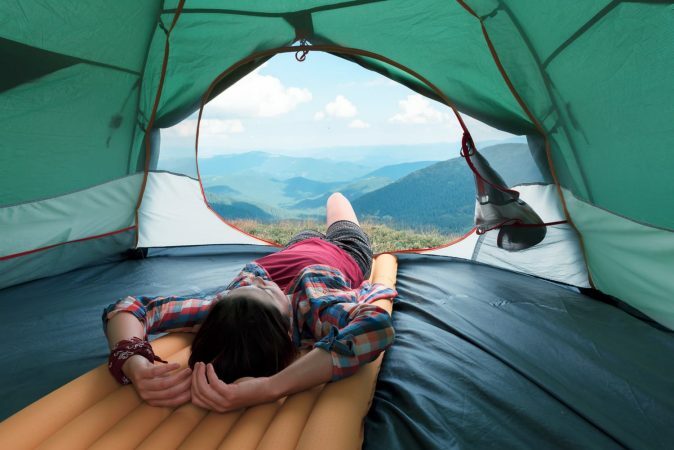 The best inflatable travel pillow naturally needs less space than a solid pillow. However, a lot of the best travel pillows for long flights, are made from memory foam but don’t fright as they can be compressed down to a reasonably small size. After making sure the size is just right, time to talk money. How much should you spend on a travel pillow? While cost considerations should be secondary to quality and usefulness, the price of a product is, of course, a factor. So how much you should spend on a travel pillow all depends on how comfortable you want to be and are willing to spend. Generally, most of the best travel pillows are relatively inexpensive, usually costing less than $40 USD. Considering the comfort that a pillow can add to your travels and the amount of times that you are likely to use it, this is a fairly small sum to pay. Ankaka has struck the perfect balance between support and comfort. They tested countless materials to ensure you would have the most comfortable pillow possible. As the original creators of the 4-leg H-shaped pillow, they’ve made sure the design is great for lying down in reclining seats and for lying face down as if you were napping on a desk. To guarantee a relaxing sleep, this memory foam pillow offers 360˚ support to the neck and head. 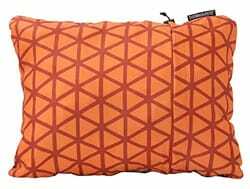 The Ankaka A1 Travel Pillow is hypoallergenic and the cover is both removable and washable for easy cleaning and maintenance. It even comes with a carrying case to make it more convenient for traveling. 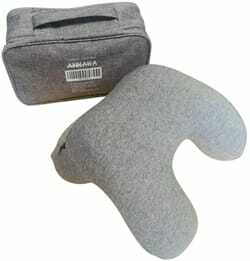 If you have a long-haul flight coming up, you definitely want to make sure you bring along the Ankaka A1 Travel Pillow. With a scarf-like appearance, the Trtl Pillow is stylish as well as comfortable and functional. It’s available in different colors, and is soft to the touch thanks to the fleece finish. Strengthened ribs and soft foam are hidden underneath the fleecy exterior, providing support to the head and neck while you sleep. It can be fully adjusted for comfort. If you are looking for a lightweight pillow (weighing just 136 grams / 4.8 ounces) that’s not a traditional U shape and can be easily be attached to your carry-on, then the Trtl Pillow is the best neck pillow for air travel for you. The Travelrest Ultimate Travel Pillow provides support to the entire upper body, as well as the head and neck. Ergonomically designed, it’s the best inflatable travel pillow for anyone who normally sleeps to the side while in a seated position. It’s ideal for use on planes, buses, trains, cars, and ferries. The combined pillow-support device can be adjusted for total comfort. You can wear it across your body or down your side, and it can easily be fixed to airplane seats and headrests in cars to prevent movement during your trip. When deflated, it rolls up small and can be fixed around the handle of your luggage for ease of carrying. It deflates instantly and can be inflated with just a few breaths. Overall it is a great inflatable travel pillow. 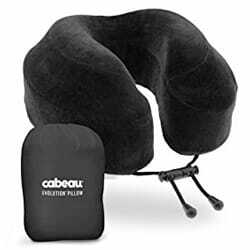 The award-winning Cabeau Evolution Memory Foam Travel Pillow has been designed to cushion and support your head and neck no matter which way you twist and turn while sleeping. The flat back ensures that your head isn’t unnaturally forced forwards as you snooze while the memory foam material adjusts to provide 360-degree comfort and support. The pillow can also be compressed in an included bag to a quarter of its size for easy packing. It weighs just 371 grams (13.1 ounces) and is a great choice if you’re looking for the best neck pillow for air travel. If you just can’t nod off without your head on a traditional-style pillow, the Therm-a-Rest Compressible Travel Pillow may be the best travel pillow for airplanes for you. While this pillow doesn’t offer much in the way of support, it provides the comfort of a regular pillow when they travel. 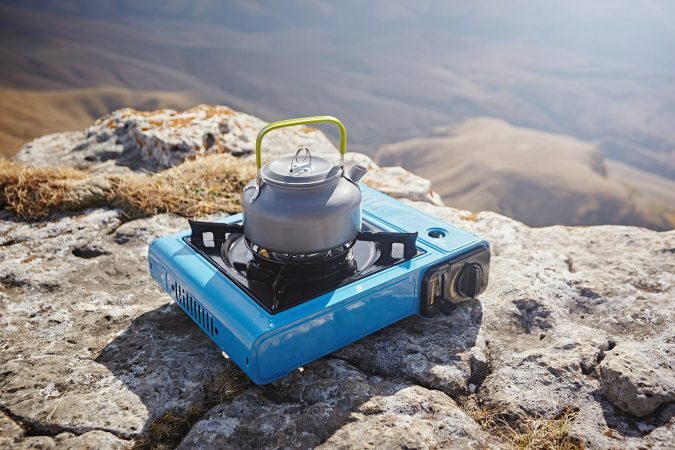 Its versatility means that it’s also great for hotels and hostels that have thin pillows, camping trips, and other occasions. Made from polyester, it is fully machine washable to keep it clean and germ free, and the brushed exterior is soft against your skin. The lightweight rectangular pillow compresses down for packing and, when the cord lock is released, it springs into a soft 10.2-centimetre-thick (4-inch-thick) pillow. Designed by cabin crew, the award-winning J-Pillow Travel Pillow is a best neck pillow for flying long distances. More suited to people who sleep with their head to one side, the soft headrest is comfortable, while the innovative neck and chin support stops the head from falling forward. 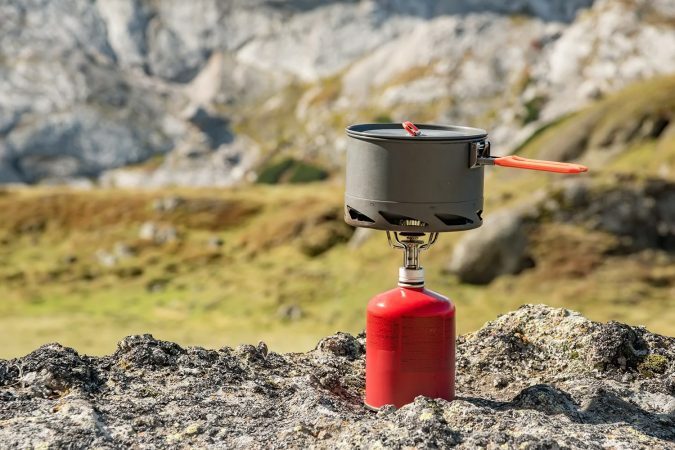 The lightweight item can be compressed down into a ball for ease of packing and there is also a convenient loop fastening that lets you easily affix it to your bag to save even more space. The BCOZZY Chin Supporting Travel Pillow is the best travel neck pillow for long flights for children as well as a great choice for adults. 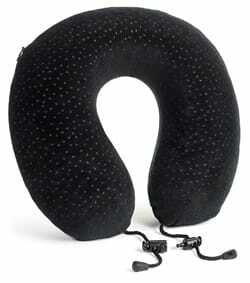 The BCOZZY Chin Supporting Travel Pillow provides comfort and support to the head, chin, and neck. The soft pillow fully wraps around the neck, and you can adjust how tight it is fitted as well as twisting it for optimum comfort. It prevents the head from falling too far forward as you sleep and is comfortable and supportive whether you sleep with your head to the left, right, backwards, or forwards. The travel pillow compresses down for packing and can also be attached to the outside of your bag. The PUREFLY Inflatable Travel Neck Pillow is the best inflatable neck pillow for travel for people who like U-shaped travel pillows but also want to save space. It requires no huffing and puffing—simply press a button and the pillow will inflate. It is also quick and easy to deflate and comes with a storage bag for convenient packing. 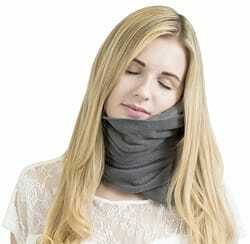 The raised neck support helps to keep your head in the correct position to reduce strains and tension. Made from memory foam, this U-shaped travel pillow has ventilation holes to prevent the pillow from being uncomfortably warm while you sleep. The material offers great support while you travel long distances as it shapes around your neck and evenly distributes the weight without causing you to sleep in an unnatural position. Toggles allow you to adjust the pillow’s grip around your neck to prevent it from slipping off as you slumber. The Aeris Travel Pillow comes with a small bag into which it can be conveniently compressed. It is lightweight too, weighing only 377 grams (12.3 ounces). Among the best travel pillows for long flights, the Everlasting Comfort pillow is made from memory foam to offer full support to your head and neck. 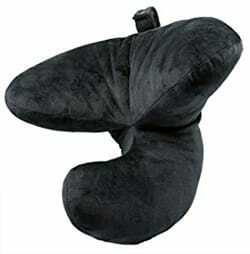 The U-shaped travel pillow has raised parts on the side for greater comfort and support. The lightweight pillow can be attached to your luggage. Alternatively, it can be compressed to around half its size if you wish to pack it inside your bag; it comes with a storage bag to keep it compressed. An innovative feature of this particular travel pillow is a handy pocket for your mobile phone or iPod; you can easily listen to music and eBooks as you rest. Other perks are the included padded eye mask, complete with an adjustable strap, and noise-reducing ear plugs made from memory foam. 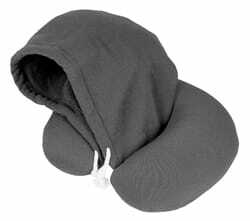 The Travelstar Hoodie Travel Neck Pillow is a U-shaped neck pillow with an attached hood. The neck support is filled with small polystyrene beads, meaning that the pillow will adapt to any position and shape and will move with you in your sleep. The hood provides warmth and shade and the fleece pillow cover / hood is soft. It’s one of the best travel pillows for people who like to snuggle, easily feel the cold, and like a bit more privacy. And, there you have it – ten of the absolute best travel pillows to add comfort to any long journey. Sit back and enjoy the flight!